If you are looking to embark on a thirty-day challenge then the following countdown printables will help you keep track. There is a 30 day challenge calendar for specific challenges and a generic countdown that can be used for any 30-day challenge. 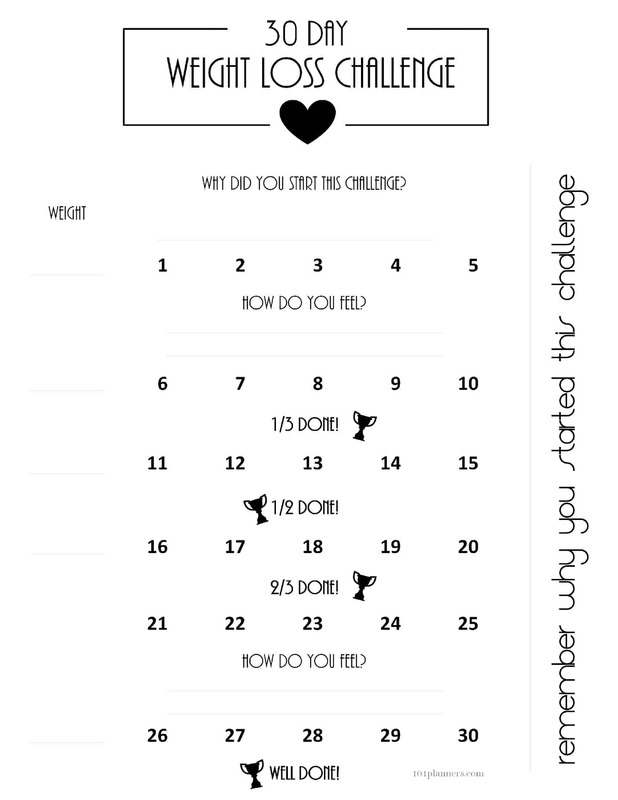 I made this for myself when I went on a sugar detox for 30 days. At first, it was really difficult but it got easier and I actually lost my sweet tooth. 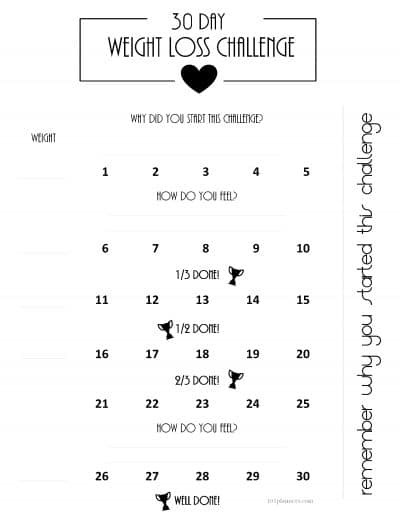 This 30 day shred calendar will help those trying Jillian Michael’s 30 Day Shred. This is a great challenge that I tried a few months ago. I recommend taking photos before and after because you will be impressed to the see the difference. 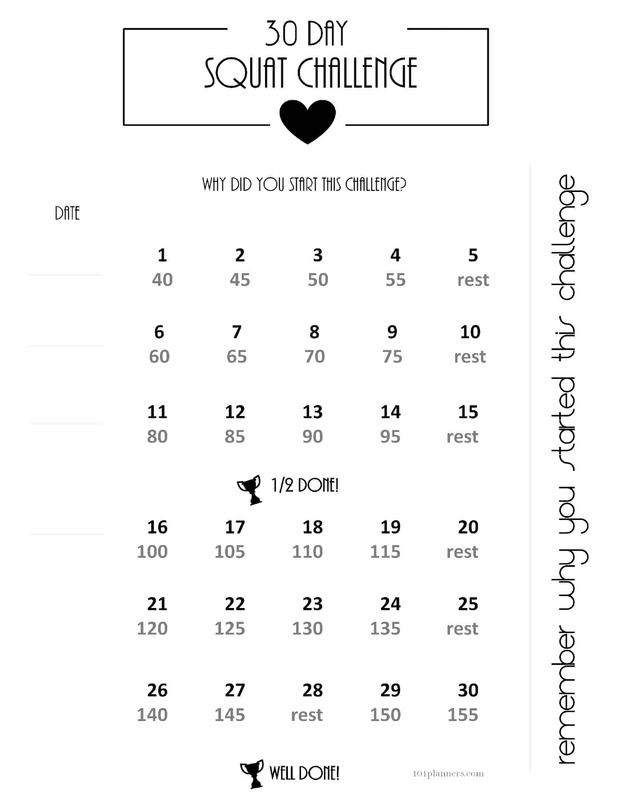 Water Checklist for those who want to increase their water intake over a 30 day period. You can decide to drink a certain number of cups each day or slowly increase your goal every 5 days. 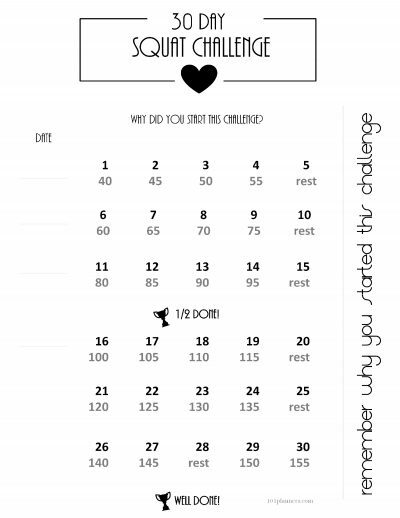 This weight loss challenge can be used for those who want to stick to a diet for 30 days or workout for 30 days. I recently looked for an arm challenge online. My arms are getting a bit flabby and I really need to do something about it. I need a few exercise that would work without spending hours at the gym. 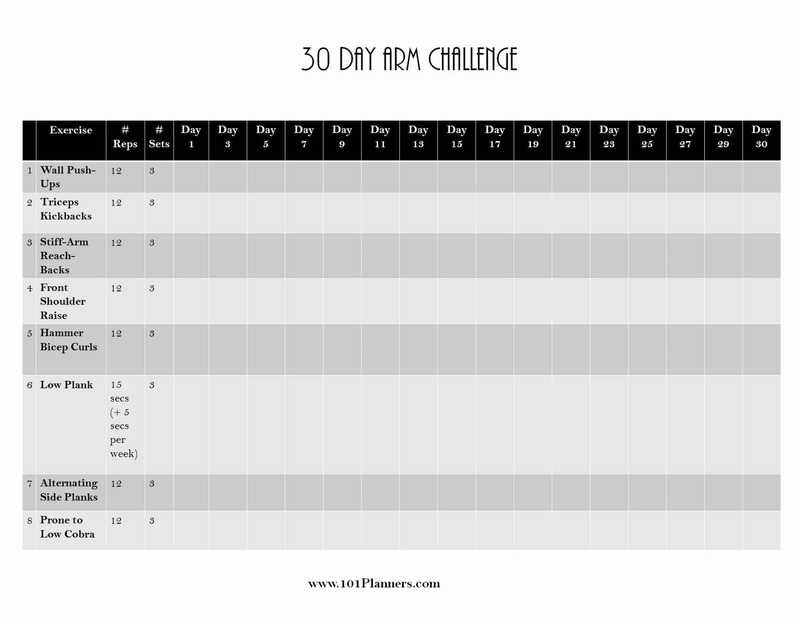 Since my chances of success are much greater if I decide to do the arm exercises for a limited time I decided to start a 30 day arms challenge. I found a few arm exercises that looked like they would target my flabby areas. Click here to try them out. Since a planner always helps me stay on track, I prepared a 30 day calendar to keep track of the arm workout challenge and ensure that I did the exercises every second day as they suggested for 30 days. 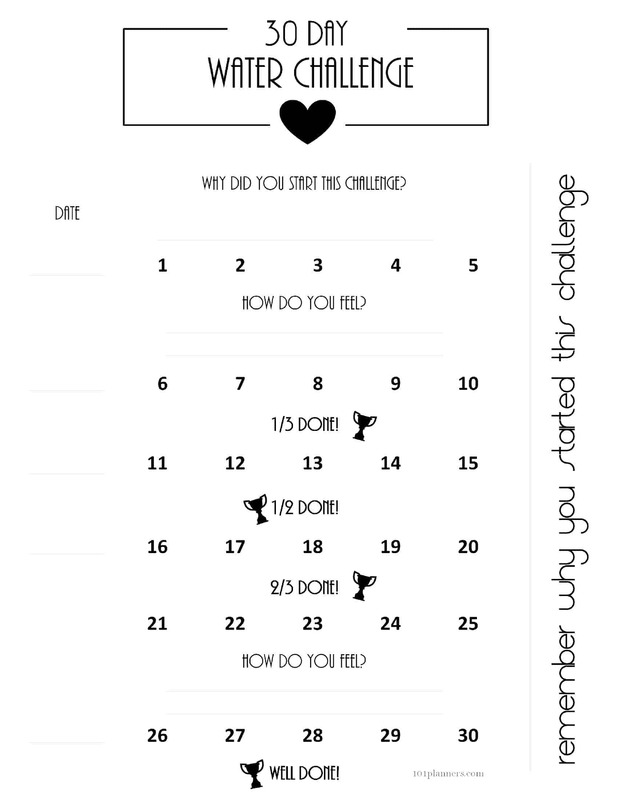 I am happy to share the planner with anyone who wants to give these exercises a try. I really appreciate your wonderful efforts. I’m glad that I’ve found your page. Thank you for sharing your trackers. I find that I am not at all disciplined and several of your challenge trackers; including the arm one are going in my journal!